the real life location in Fife. 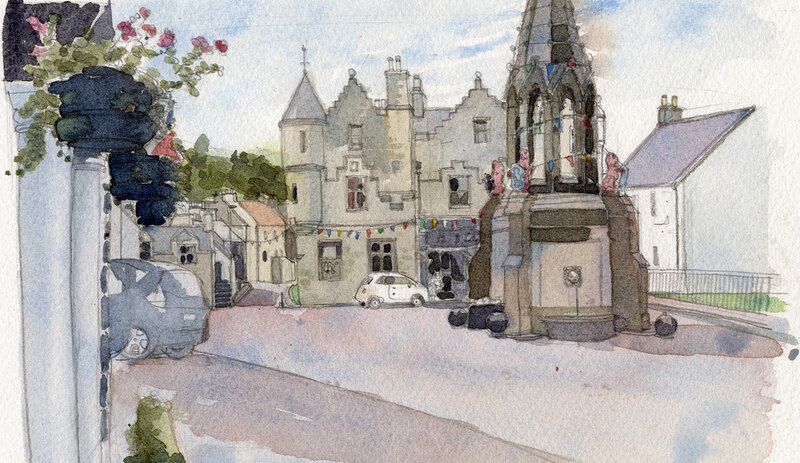 The charming village of Falkland appears in the very first episode of Outlander and is featured again several times in both series one (1940s Inverness) and two (1960s Inverness). 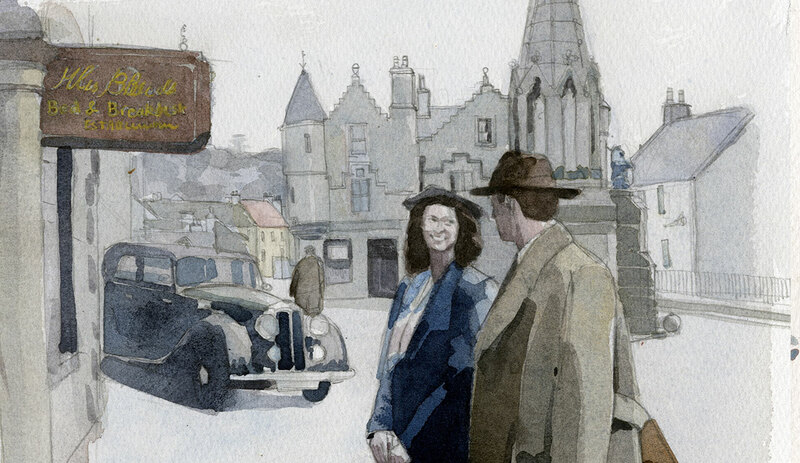 You’ll recognise several locations in the village including the Covenanter Hotel which is Mrs Baird’s Guesthouse, the Bruce fountain where Jamie’s ghost looks up at Claire’s room, Fayre Earth Gift Shop which portrays Farrell’s Hardware and Furniture Store, Campbell’s Coffee House which appears under the same name in the show.